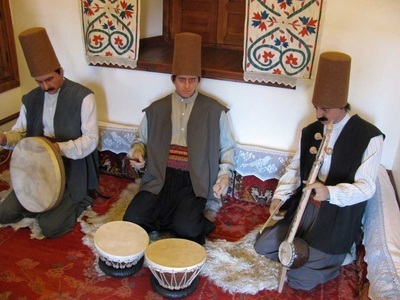 Mevlana Museum, incredible, social complex is located on Konya. It is famous for Mevlana Mausoleum belonging to well known great dervish, poet and pioneer of the Islamic mysticism, Mevlana Jelaleddin Rumi. Also, this magnificent structure includes many sections such as outdoors, Dervish Cells, Kitchen, Yard, Mosque, Library, Chant Room, Water-tank with a fountain, Semahane and Çerag Door. 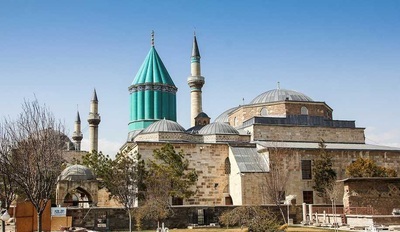 At the beginning, this splendid complex was a rose garden surrogated a dervish lodge which was given as a present to Sultânül-Ulemâ Bâhaeddin, the father of Mevlana, by Sultan Aladdin Keykubat in the Seljuk Period. Afterwards, there was added the mausoleum primarily including the graves of Mevlana’s father, Mevlana and his other family members here. 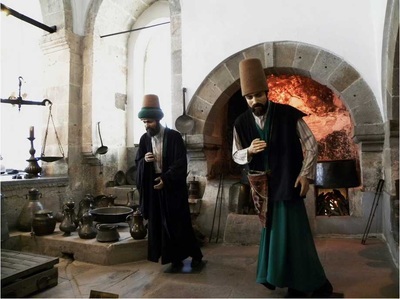 Additionally, in 1926 the place was turned into a museum (today’s Mevlana Museum). The brilliant and huge museum covers approximately 18.000 m2 area. Also, that miraculous mausoleum also called ‘’Kubbe-i Hadra’’ (Green Dome in English) was placed on four special pillars. Built by great architect Bedrettin Tebrizi, the tomb was furnished with the fascinating green tiles which is the main reason why it was named as ‘’Green’’. Moreover, around dervish lodge and the mausoleum were used as a museum in 1926.It is entered to the yard of this place by using Dervisan Door. 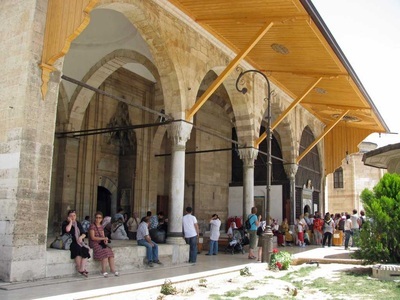 Within this yard, there is found Dervish Cells, Matbah, the tomb of Hürrem Pasha, Sinan Pasha,Hasan Pasha, Fatma Hatun, Uçler Graveyard and water-tank with a fountain called Seb-I Arus . Today, Mevlana Museum set place various parts which grabs the visitors with its mystic and fantastic atmosphere. 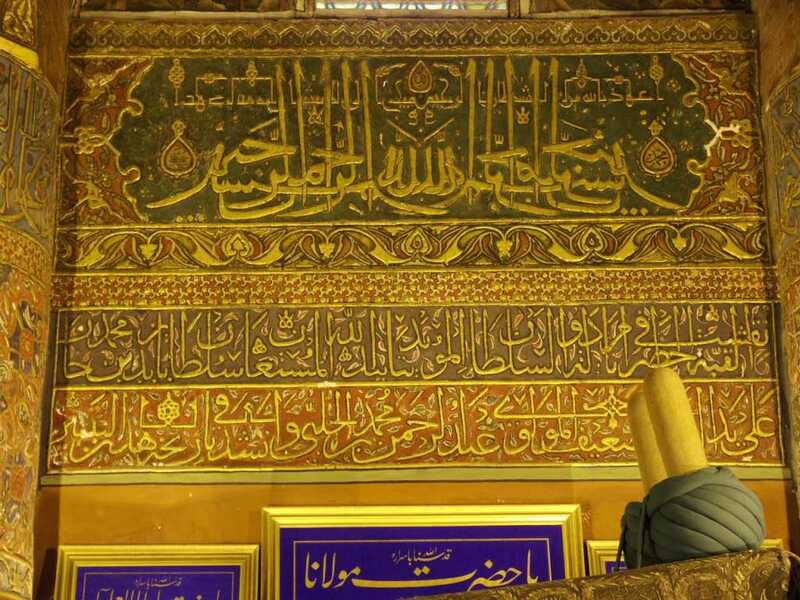 In the past, this room was used as a Koran Reading Room. 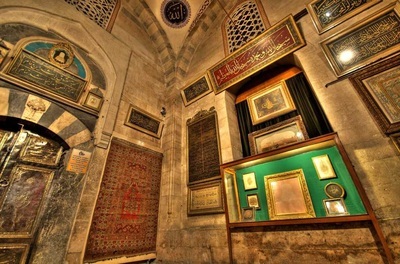 Therefore it was named as Tilavet (reading).In our day, there is exhibited unique masterpieces reflecting Ottoman Period, Haremi Serif (Temple Mount Model) and the other stuffs. This enchanting door provides the people to pass other doors like Silver and Kademat-I Pir Doors. It was built by Sultan Suleiman, the magnificent in 16th century. It was covered by wide and fresh dome. This space also includes Meydan-I Serif which is a place organized the famed method of whirling as a type of dhikr (remembrance of God). Excep for those features, there is located two storeyed gatherin-places belonging built by Ottoman Sultan Abdulhamit.